Want to up your marketing game but don’t know where to start? Struggling to process all the information that’s available? To help you implement a stellar marketing strategy that works, we’ve condensed vast amounts of information to bring you these top 29 marketing tips that highlight all the important aspects of a great marketing strategy. What Do Our 29 Marketing Tips Include? Download Our 29 Marketing Tips Today! What are you waiting for? Head to our Experiences resource page to download these 29 indispensable marketing tips – and watch as your company skyrockets toward success. We are recognized as a top Branding Agency on DesignRush! The shift toward clean labels, a movement named trend of the year in 2015, is hardly a trend anymore as it has become the rule. Transparency in product ingredients and brands’ abilities to provide accurate and comprehensive product information has become increasingly important to consumers, a shift we’ve seen concurrent with the vast amount of information that has come out regarding the negative effects of consuming artificial ingredients in products, along with the infinite number of publications and resources that are now available to us as consumers. Grocery shoppers today are armed with the knowledge to scrutinize brands and their labels like never before, and to make informed, healthy decisions. Accompanying shifts, including brand loyalty becoming increasingly less important, and consumers’ willingness to pay more for a better choice, are big factors in convincing brands to clean up their labels. In a 2017 study by Label Insight, 60% of surveyed consumers say they trust the brand less when they see ingredients they don’t recognize or find confusing. 64% of said they would be willing more to switch to another brand if that brand shared more detailed and understandable product information – and 54% said they would be willing to pay more for a product with ingredients they understand. These are numbers brands simply can’t ignore. We’ve seen many big players already making significant steps in recent years toward clean labels. Dating back to 2015, names like Nestle, General Mills, Campbell Soup, Kraft and Chipotle made promises to clean up their ingredients. Since, we’ve seen McDonald’s and Oscar Mayar jump on board, along with Target and Hy-Vee, and even Dunkin’ Donuts joining in early this year. It’s a fine line companies are straddling, working to meet the demands of a more sophisticated consumer asking for transparency and clean ingredient lists, while maintaining consistency in their product and continuing to satisfy their longtime and loyal customers– who may or may not be as concerned with the ingredient list as they are with the taste, flavor and texture they’ve come to know and love from the brands’ product. But at what cost to the company? Aside from the hurdles companies face in changing the recipe for their products, in finding ingredients to substitute for the artificial ones that look and taste the same – then, working with potentially complex sourcing issues and often times high conversion costs. Another company finding alternative ways to more seamlessly make the shift toward clean labels, General Mills, who announced they would be bringing the original Trix recipe back to shelves after consumers raised doubts about their new ‘natural’ recipe, that allegedly made the cereal’s taste “less fruity” and it’s color appear “washed out.” The company was proud to announce they will be keeping the natural recipe on shelves along with this addition of the discontinued version that was Trix for 63 years. Now we can be assured Trix aren’t just for kids, but the clean-ingredient lovers, too – some of whom may be willing to sacrifice flavor and appearance for the healthier alternative. This proves to show not all consumers are equally concerned with making clean choices when it comes to the products they’re purchasing, particularly if it has noticeable changes in their favorite and go-to products. There are, of course, those that may have little to no concern in choosing clean labels and have no motive to prioritize them in their purchase decisions. Even those consumers that do seek a clean-label are on a broad varied spectrum. A new report released at this year’s Natural Products Expo West trade show by ingredient supplier Kerry, provides insight on the customers likely to purchase clean-label products and categorized them into 5 types of customers. From “label seekers”: the most well-informed and expectant of clean-labels, also willing to pay more for clean-label products and certification, to “thrifty traditionalists,” who aren’t largely concerned with clean-labels but look for changes in their food choices due to medical necessity. Another driving force behind the clean label shift that shouldn’t go unmentioned, is the increasing demand by grocers for clean labels, as the competition of natural food stores continues to increase. The bottom-line is: brands need to make a number of considerations as the market in which they’re selling is rapidly evolving, with increased demands of the educated shopper and retailers, alike. Albeit, there are sure to be significant costs and efforts associated with making the transition to clean labels, it is a change that food brands must consider if they want their products to withstand the test of time and evolution in the industry as we continue this shift toward transparency and the demand for clean ingredient labels. They should consider each product and recipe change on a case-by-case basis when it comes to their marketing strategy and how best to communicate their changes and transparency in their products’ composition, to what may be a broad assortment of audiences – to best meet these demands of the new shopper mindset, while also maintaining relationships with their longtime loyalists. Throughout my Marketing career, I can’t count the number of times I’ve had a conversation with a client or colleague about insights. How are they defined? How are they developed? What’s the difference between a shopper insight and a consumer insight? What is the role of insights in Marketing? Merriam-Webster outlines the definition of insight as, “the act or result of apprehending the inner nature of things or of seeing intuitively.” Uncovering and defining insights plays an important role in Marketing, whether we are working on a new idea or concept, developing strategy for an item or brand launch, going to market with a new product or understanding current mindsets and behaviors of a target audience. True insights are backed by the proper time, effort and methodology that allow us to peek inside the minds of those we are trying to reach. It’s understanding how beliefs drive behavior – more specifically, what your target audience believes about you. It’s bridging the gap between behavior and beliefs. Methodology techniques for developing insights can range greatly based on a number of factors including brand, category, budget and approach. Both quantitative and qualitative research, along with multiple internal and external data analytics, are studied to develop insights about what your target audience believes and why they behave as they do. Focus groups, shop-alongs, test labs, market basket or transaction data and loyalty program analysis are just some of the tools we use to help build true insights. A good mix of quantitative and qualitative data ensures no one gets too caught up in the numbers and statistics or, alternatively, focuses too much on perceptions and opinions. I covered the definition of insights along with a topline snapshot of their development, but some of the most compelling conversations I mentioned above have been around exploring the distinction between shopper insights and consumer insights. Brands often try to tease out the differences between these two segments with the belief that consumers behave differently when shopping different retailers and channels. Someone shopping for cereal at Walmart may be driven solely by price, whereas someone shopping for cereal at Target may be driven by the treasure hunt and delight of buying a brand that isn’t on their list. And how is this different from shopping for cereal at Whole Foods? How about Costco? Or the .com channel? The differences lie in that consumer insights care about the brand experience, regardless of where it happens. Shopper insights are focused on what happens during the shopping experience. Shopper insights ask what, how, when and why people spend their money. Consumers insights seek to understand what emotion is evoked, what need state is satisfied or how the brand is perceived – without as much attention as to where that is happening. Insights are one of the most fascinating parts of Marketing, in my humble opinion. Maybe it’s the anthropologist in me, but understanding behaviors and patterns, along with where it happens, is extremely interesting. Marketing without insights is comparable to action without vision. Each purchase transaction, click of the mouse or behavior observed gives us another opportunity to understand the beliefs and behaviors of those we are trying to reach. 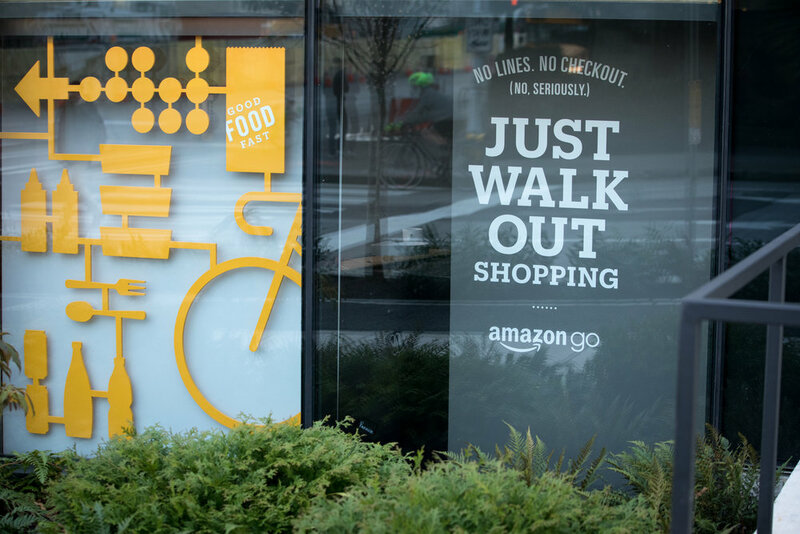 In case you missed it, on January 22, 2018 Amazon opened it’s pilot Amazon Go store in Seattle, WA, also the home of Amazon headquarters. 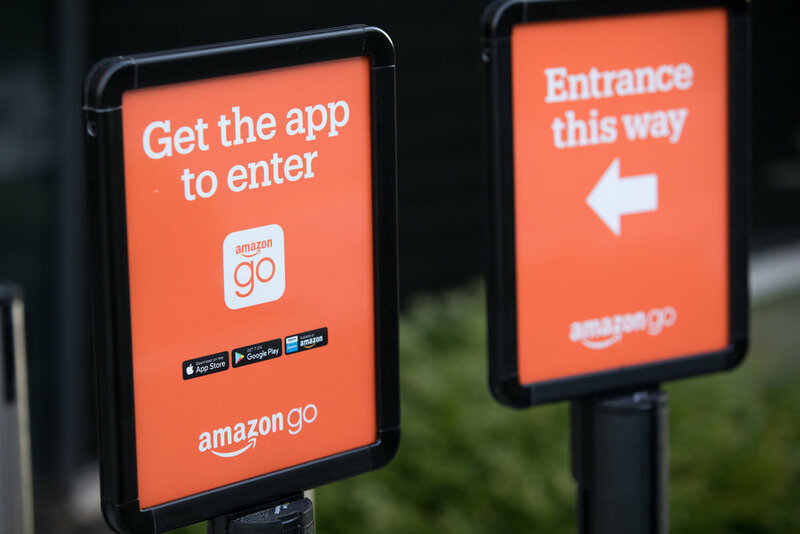 Amazon Go is Amazon’s answer to the traditional corner grocery store and as with most Amazon products it is disruptively innovative. Think for a minute back to when Amazon was founded in 1994 and started taking away business from small local bookstores by selling books online. That was Jeff Bezos’ entry point to enticing the customer through convenience. Since then Amazon has grown like a cancer into almost every area of our lives and it all has to do with making the customer’s life easier. Yet in the background the giant retailer was secretly not only learning the shopping habits of each customer, but saving the data for being able to predict trends and to facilitate revenue from advertising in addition to the profit margins. Think Amazon Prime – free shipping was a game changer. Since shipping was free (if you could justify needing to buy more than $99 worth of shipments in a year), people started to shop more on Amazon. It’s another win-win. Amazon gets more sales, customer gets free shipping, Amazon gets more customer data. The website is so convenient and disruptive too. Not only are there reviews, but Amazon (like Alexa) will recommend similar products based on your previous buying history and what others like you have purchased. As a consumer you feel like Amazon is your very own personal shopper, always recommending the best items and finding the right deals. Furthermore, Amazon Marketplace sells used items and products from third party retailers giving the consumer access to the largest online marketplace in the world. So what is this new concept, Amazon Go? The app on the phone works with cameras throughout the store and according to the app “uses technologies similar to those used in self-driving cars: computer-vision, sensor fusion and deep learning.” As a customer, you are charged based on what you take off the shelves, but the invoice only appears after you leave the store. If you take something off the shelf and change your mind about buying it, just put it back, no problem. Amazon Go understands. So you just tap your app upon entry into the store, grab whatever you need and walk out. For your first time visit, I imagine it feels a bit like stealing. And for those of us who love the idea of frictionless experiences, I imagine it feels quite liberating. I imagine anyone in loss prevention is wondering about the potential for increased theft. I’m sure Amazon has had to think through many potential risks, like power outages, loss of internet connection, phone battery failure etc. What would happen if you switched your phone off mid-shopping at the store? Amazon Go, removes even the sense of having to pay for something. There is no transaction other than a quick check on your app to see if you were charged for everything correctly and over time, that need to verify will fade as customers trust their convenient and fast corner Amazon Go store more and more. How will Amazon Go Change Shopper Marketing? Since Amazon is no longer just an online retailer after acquiring Whole Foods Market for $13.4 billion in 2017, I predict we will see a lot more Amazon Go like features in Amazon’s brick and mortar locations. We may even start see the Amazon Go app made available in Whole Foods locations. Imagine being at your local Whole Food Store waiting in line to check out and seeing people just walking out with their groceries. Yup, my jaw would be dropping too. I would definitely want that app and use it unless of course it got too popular and the lines to get into the store are just as bad as the lines to check out. Shoppers will expect other retailers to follow Amazon’s lead and we’ll start to see Walmart, Target, Safeway, Kroger and Costco introducing apps or enhancing their existing ones to facilitate the checkout-free shopping experience. No app, no phone, no entry. Without a phone, shoppers will be prohibited from the store. This means that Amazon Go stores and any copycats will cater to a more affluent audience. The rollout of similar stores will likely start in the most metropolitan areas and neighborhoods where early-adopter techie types live or work. This may further increase shopper marketers’ ability to target based on income and location. Grocery stores with longer lines will face competition from those with the Amazon technology enabling the check-out free experience. Since Amazon started in the digital space, it understands the value of data probably better than any other company on the planet and it has perfected personalization. Amazon bases decisions for innovation and growth on data and intelligence and it understands the needs of 21st century shoppers. The reliance on data will further increase the need for shopper marketing teams to have data scientists on board to work with shopper marketing strategists on the best ways to promote your product. The pay to play model will dominate and brands that can afford to promote products on Amazon will have the advantage. Amazon makes everything super convenient, yet it also holds all of its data very securely, i.e. it is not sharing information with other shopper marketing organizations and therefore in order to promote a product Amazon will ultimately be able to charge more for businesses to get their products in Amazon Go stores as well as in the online catalog. Convenience is something people are willing to pay for even it means they are paying for it with their privacy. Skip ahead to when there are as many Amazon Go stores as Starbucks. Since Amazon will know what each customer likes to purchase AND they have the customer’s order history, the ability to target a specific type of customer will become increasingly more sophisticated. Not only will Amazon know what you have just purchased, it will be able to predict when you may be likely to purchase the same item again and send incentives if their predictions are not met. Imagine listening to Amazon’s Alexa and her asking you if you would like to order anything you just recently purchased at an Amazon Go store for delivery via Amazon Prime. Since Amazon knows where people are when they are checking into a particular store, it can offer push notifications that are geo-fenced to specific stores to increase product trial or incentivize customers to impulse buys. This will be one of the advertising options for shopper marketers. Because people will be able to pay on their phone, fewer people will carry cash or even credit cards on them. This means there will be increased usage of couponing apps like Ibotta and Checkout51. Since there is no checkout stand, those magazine and candy bars that are ever-present at the checkout lines will be a thing of the past. Unless of course Amazon Go starts putting them near the exits. Then we’ll see true impulse buys, because there will be less time for consumers to think about what they are buying. Speed shopping will become a trend giving a whole new meaning to the phrase grab-‘n-go. Whether you want the experience of purchasing groceries with a person checking you out at a register or not, time is what most of us want more of. Amazon Go is a small nod to this need and a big step towards understanding more about you to enhance personalized marketing. I am excited to see how this future unfolds. How do you think it will look?